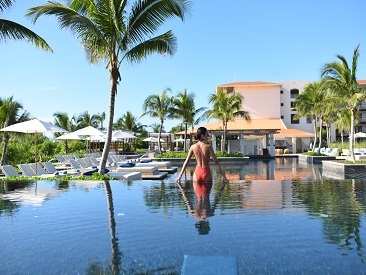 UNICO 20°87° Hotel Riviera Maya is an all-inclusive, adults-only (18+) hotel in Riviera Maya, one of the most populated and beautiful destinations in Mexico. With a redefined, all-inclusive plan that offers a spa tub and fully-furnished terrace with every suite and villa, as well as 5 star accommodations, it is truly a new vision of luxury. Located closely to Tulum and Playa del Carmen, this elegantly and meticulously curated resort is the getaway you've been searching for. Opened in 2017, this highly considered and effortlessly elegant hotel has an impeccable level of finish and polish in execution. The all-inclusive adults' paradise is not one-size-fits-all: it feels intimate and is catered to every individual guest. Five restaurants, including Cueva Siete by Celebrity Top Chef Bravo, six bars including a lounge with live entertainment and a mixology program offer guests a modern experience in luxury dining. Every room is designed through a contemporary lens, allowing rustic to meet modern at the most pristine point. Offering locally sourced soaps and local art pieces, as well as 55 inch TVs and Bluetooth sound system, past meets present at a happy medium. While UNICO 20°87° Hotel Riviera Maya may be regionally immersive, it allows for evolution to reflect the ebb and flow of the culture. 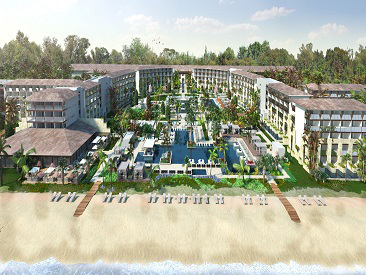 It is deeply connected to the beautiful, local environment through design, programming, attitude and offering, allowing guests different pathways and journeys to find their own personal paradise. With local tour reservations available, and land & water sports, guests can connect with the all the culture Mexico offers. 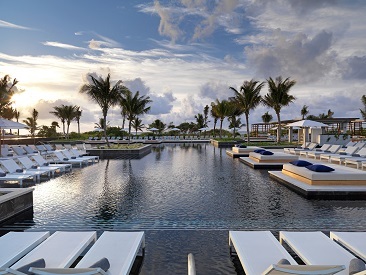 This vibrant international outpost is the newest height of luxury, giving you a one-of-a-kind, all access pass into the local, modern culture of Riviera Maya. Terms & Conditions: Applicable to USA and Canada Markets Only. Applicable for both land only and package reservations. Reservations with overlapping dates qualify; discount will apply for nights within travel window. Promotion is subject to change without prior notice. We reserve the right to discontinue this promotion at any time. All close-outs and inventory changes apply. Applicable to all group bookings. Applicable to reservations with employee rate, travel agent rate, FAMS, complimentary or compensatory stays. From July 17 through August 25, the hotel’s ultimate culinary experience will feature 6 chef takeovers with talent coming from restaurants awarded 3 Michelin Stars to 5 Star Diamond Awards. Superbia Summer also features restaurant and bar takeovers, wine and tequila tastings, handcrafted cocktails from top mixologists, and pool parties. UNICO 20°87° Hotel Riviera Maya is an official member of The Leading Hotels of the World (LHW), meeting the highest standards of quality and distinctiveness of a 5 star hotel. Couples who were married at UNICO 20°87° Hotel Riviera Maya and book a minimum of a 5-night stay within 24 months of their wedding at UNICO 20°87° Hotel Riviera Maya will receive 2 additional complimentary room nights. Couple must provide prize letter with wedding confirmation number at the time of booking. Complete stay must be a minimum of 7 nights.